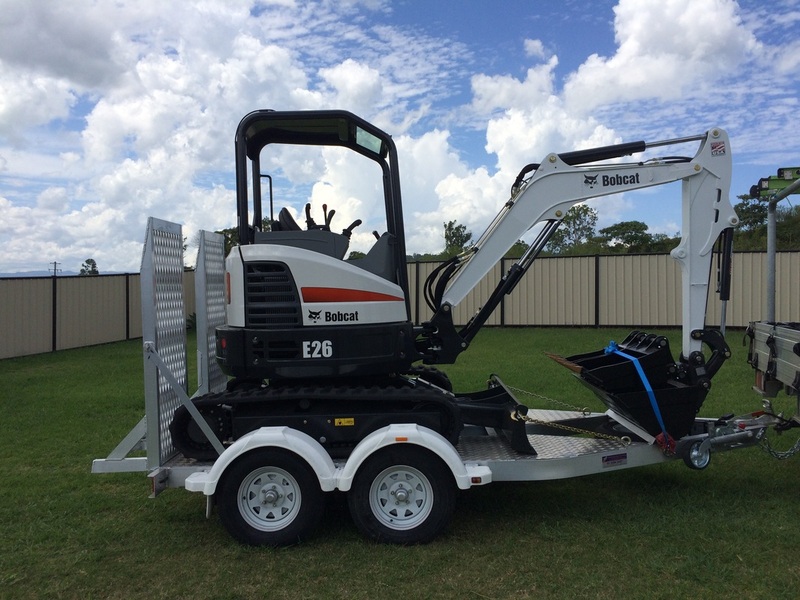 0​We have a 2.6 tonne BOBCAT E26 excavator for our underground service work and drilling holes for private poles. It is a powerful little machine with endless applications. Our excavator is for DRY HIRE meaning anyone can hire it for any digging or landscaping jobs around the house or other applications. No experience is necessary and all training is provided on commencement of hire. Delivery fees may apply or the excavator may be towed with a suitable vehicle. The machine comes with a ripper, 300mm bucket, 450mm bucket, 1000mm backfill / mud bucket and 230mm auger. It is provided with a full tank of diesel for the hirer to use and does not need to be refilled on return. $300 per day. Includes local delivery if needed. Weekly rates negotiable. Includes 1 tank of diesel.